Pennsylvania Decennial Reports Are Due in 2011! While most states require business entities to file annual or biennial reports, Pennsylvania is unique in that it requires most business entities to file reports every ten years. Since it was the turn of the millennium the last time these reports were due, here are some helpful reminders to make sure your entities stay in compliance. With the exceptions noted below, most domestic and foreign corporations (profit and nonprofit), limited liability companies, limited partnerships, limited liability partnerships (that are not also limited partnerships), business trusts, registered insignias and business marks must file a report of continued existence with the Pennsylvania Department of State Corporation Bureau between January 1, 2011 and December 31, 2011. Foreign or domestic entities that have filed a new or amended report (other than a decennial filing, name reservation, name search or consent to appropriation of name) since January 1, 2002. Corporations for which the Department of State received officer information relating to annual reports in the previous 10 years from the Department of Revenue. Foreign corporations that must renew their names annually. 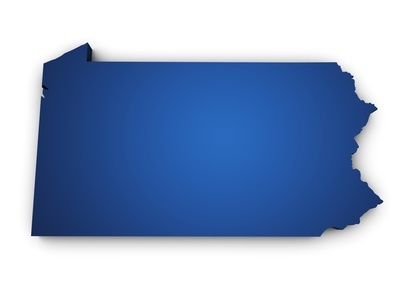 The filing fee for a Pennsylvania decennial report is $70 and the state sent notices to the registered office address of all non-exempt entities at the end of 2010. If a business fails to file its decennial report by December 31, 2011, it will lose the exclusive rights to its name on January 2, 2012 and any other business entity may request the name. Reports filed after the deadline will be accepted and will restore use of the name, unless another entity has already registered it. The Pennsylvania decennial report form and instructions can be downloaded at: http://www.portal.state.pa.us/portal/server.pt/gateway/PTARGS_0_160329_494395_0_0_18/503.pdf. Those who are responsible for an entity’s compliance often find it difficult to keep track of when reports are due in each state. Many find it helpful to work with service companies that offer online tools that track the deadlines and provide guidance for preparing the reports. Another option is to outsource the preparation and filing of annual/periodic reports to an experienced service company. Regardless of how this responsibility is handled, it’s important to make sure that your company is properly preparing required annual/periodic reports and is filing them on time. Doing so will help you or your clients avoid many problems and headaches!